Wheel hub with bearing and disc brake are working here together as one piece. 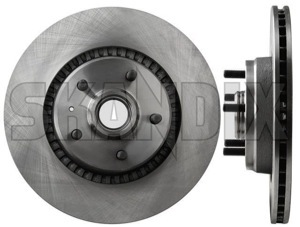 Volvo replaced this disk type fas of 1988 with a brake repair kit,where the hub and disc are separate parts. It is therefore necessary to look at the car, to see which version is installed!